Matt Holland Photography: At long last, some photos from Ithaca. About a week and a half ago I drove all the way to Ithaca, NY with my dad, grandpa, and cousin. We went there to see some of the places my grandpa grew up. All in all we had a great trip, and we really lucked out by getting there right when the fall colors were hitting their peak. As such, I did a little bit of landscape photography, which isn't typically something I do. The area around Ithaca seemed to have a waterfall every mile or two, so there's a bunch of those, but I hope you enjoy them! To start off, here's a panorama of the view from a scenic overlook at Twin Cuts, near Towanda, PA. That's the Susquehanna River you can see meandering through. You can click the photo to view much larger sizes. 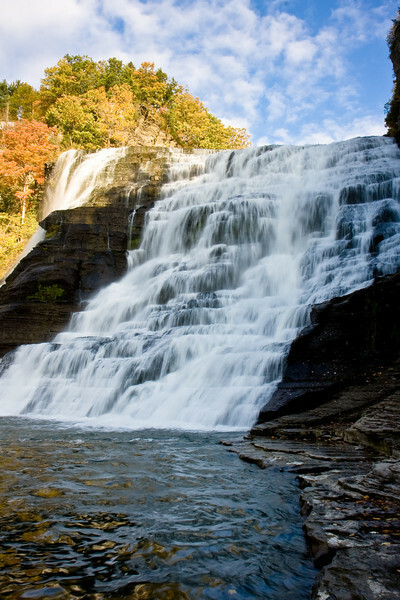 This is Ithaca Falls, in Ithaca, NY, near where the Ithaca Gun Company (which my grandpa worked at for a while) used to be. We stopped by a very old cemetery outside Ithaca and found the graves of some of our ancestors. 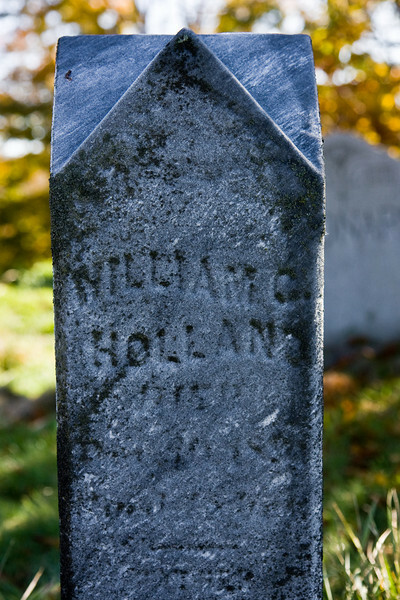 This is the headstone of my great-great-grandfather, William Holland. 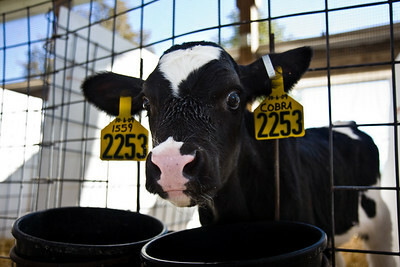 Finally, we visited Fessenden Farms, owned by my grandpa's girlfriend's brother, and got the grand tour, including meeting the new calves. This little guy was quite interested in my camera. There are a bunch more photos in the gallery, so make sure to check them all out HERE. Tonight is the night before Halloween and I'll be hanging out at the Commemorative Air Force MN Wing's Halloween Benefit, and will be sure to post some photos from it!